Beautiful, hand crafted, heavy weight, solid 14K Gold ring. width: 8mm. 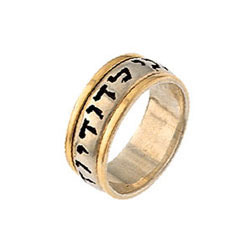 You can choose: any ring size, any phrase. The letters engraved halfway through.